When you’re fertilizing the fields, you never want your fertilizer to get on your expensive machines because it can cause wear and damage over time. Always make sure to clean all of your equipment after fertilization and planting or risk serious rust and eventually even greater damage. Totally Tubular air seeder product places the seed with the ¾” wide Fin made of Ultra High Molecular Weight (UHMW) plastic which guarantees that your air seeder will have a long life and the narrow fin gives a consistent seed depth. 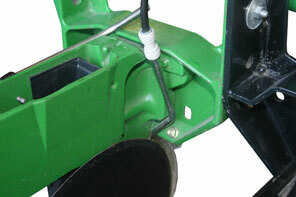 This replaces the traditional 1” wide wheel which at times would lift the seed from the furrow. 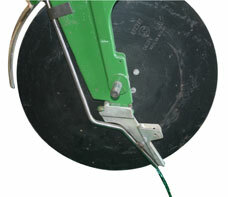 It also places fertilizer deep inside the furrow. There is no splatter ever because even when the Fin begins to wear, it will be deep inside the furrow. This is available for John Deere 50, 60, and 90 Series openers, and Case SDX Air Drills. Totally Tubular’s metal fabrication specialists are happy to work with you to create a custom fit piece for your machinery or equipment. Whether you need to copy an existing part, get a piece for older equipment, or create a specific fit for your equipment, Totally Tubular is happy to help. They will also customize signs for the farm, home, yard, or shop. Totally Tubular has access to CNC Flow Waterjet cutting, a press brake, shears, steel and aluminum welding, and sandblasting. They keep steel and aluminum on hand in different sizes like round, square, and rectangular plus different thicknesses. Contact Totally Tubular today for more information on their custom parts, air seeder products, or fertilization products.